You’d be surprised at all of the talent in our little town and the surrounding area. Artists, photographers, writers, woodworkers, t-shirt designers, jewelry makers, embroiderers—we are proud to represent them all! Soothing, scented soaps and body creams are popular items, as well as an assortment of lavender-infused products from a nearby lavender farm. 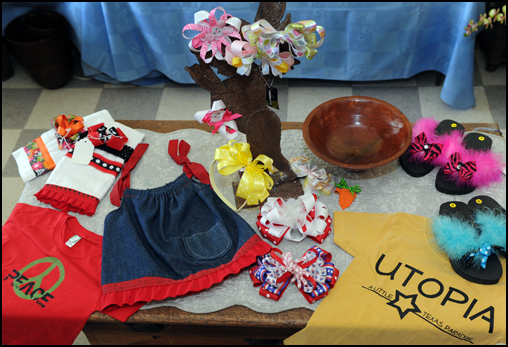 We usually have a bright array of hair bows, feathered flip-flops, or maybe even small dresses made by some of the young mothers in town who are familiar with the latest trends in little-girl fashion. 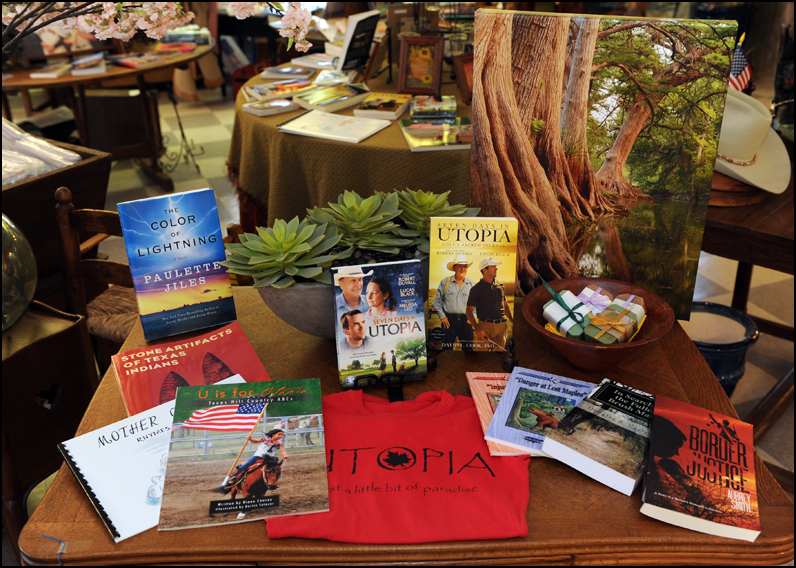 Amazing photography captures the beauty of Utopia and the surrounding Hill Country area in note cards, postcards, magnets, and photo enlargements that we carry. Our store is definitely enriched with the handiwork of all of the local artisans.